Swedish home furniture retailer IKEA confirmed earlier today that it is bringing a second store to metro Atlanta. The 300,000 square foot store, set to occupy 28 acres in Cobb County, will be located on Franklin Gateway on the site of the former Marquis Place apartment complex. IKEA, known for their assembly required furniture and cheap eats cafeteria and market, opened their first Atlanta area store, and what was then their only outpost in the southeast, at Atlantic Station in June 2005. According to an IKEA release, the Atlantic Station store sits on 15 acres and is 366,000 square feet. The new location is about 12 miles from the Atlantic Station store. In the years since the Atlantic Station store opened, IKEA has opened a number of additional stores in the southeast. Florida now has five IKEA stores: Sunrise (October 2007), Orlando (November 2007), Tampa (May 2009) Miami (August 2014) and Jacksonville (November 2017). IKEA opened in Charlotte, North Carolina in February 2009 and confirmed plans earlier this year to open an additional store in Cary in 2020. The retailer opened their Memphis, Tennessee store in December 2016 and confirmed plans earlier this year to open in Nashville in 2020. Not surprisingly, the 300,000 square foot store will be the largest single retailer in Cobb County history, according to City Manager Bill Bruton. The announcement comes on the heels of the opening this past April of the Atlanta United training facility, also on Franklin Gateway. City leaders and area residents are hopeful that interest in the previously troubled corridor will continue to grow. As ToNeTo Atlanta reported earlier this year, a new Bojangles' opened at the corner of Franklin Gateway and Delk Road this past August, with plans for a Fairfield Inn & Suites and possibly a second hotel at 2500 Delk Road, too. Although no timetable was announced, given current new store projections, it's safe to say the retailer is targeting a 2020 opening in Marietta. Earlier this year, ToNeTo Atlanta was informed that IKEA was scouting real estate in the Duluth/Gwinnett Place area but as of now, there has been no confirmation of any definitive plans. Are you excited for the opening of IKEA in Marietta? 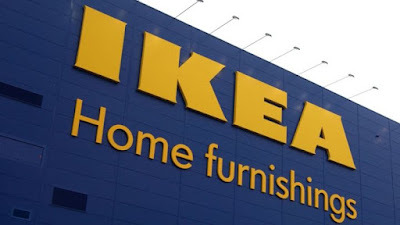 Do you think Atlanta could handle a third IKEA store, and if so, where? Have you never been to an IKEA? Huh, very interesting. It gets a little nuts at the Atlantic Station IKEA, but it never seems to the point of necessitating another location, but perhaps the warehouse capacity is the real reason. I'm looking forward to a smaller crowd in Atlanta. Good to hear this. With a couple more like IKEA, Jerusalem Bakery, and the Red Hare Brewery I could see the area gaining momentum as "industrial with retail storefront" adaptive re-use, sort of like the Westside/Howell Mill was a few years back. Great! More future landfill items. It was mentioned that IKEA was looking at East Roswell (http://www.tonetoatl.com/2017/02/bits-bites_8.html). Those negotiations broke down leading to them going to Marietta. IKEA was looking to have a North Atlanta store and this makes a lot more sense. I'm betting IKEA is planning to pull significant traffic from North Georgia and Tennessee. This is great news! IKEA will help clean up that area. I hate driving thru that area. People cross the street in front of cars all the time and almost get hit. It's scary especially when they cross with kids! Plus crime is high in that area. New hotel around the corner, Atlanta United, bojangles and now IKEA ... We moving up! Sooner the better!